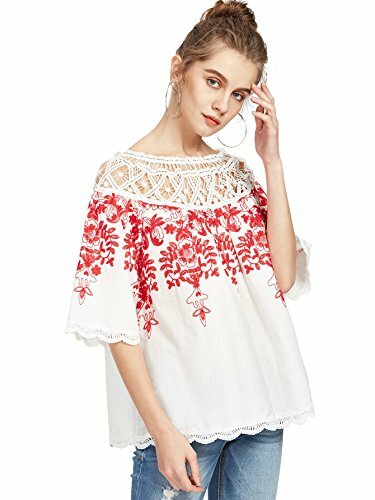 Very charming butterfly sleeve V-neck Mexican blouse with beautiful flowers embroidered, match a jeans or shorts, trendy; Can tie at back, so it will not so loosen, can be wear for going out shopping and meet friends, or any not formal occasions, it¡¯s leisure, casual style; Material is cotton, may need iron when wears Please note that due to limitations in photography and the inevitable differences inmonitor settings, the colors shown in the photograph may not correspond 100%to those in the items themselves. 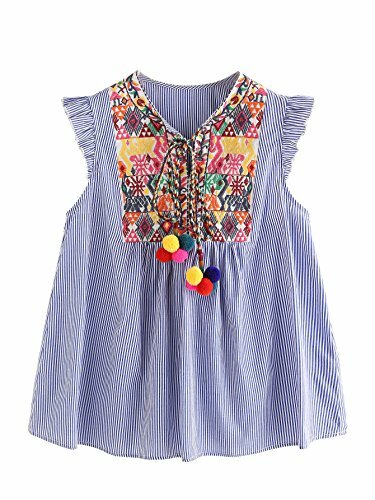 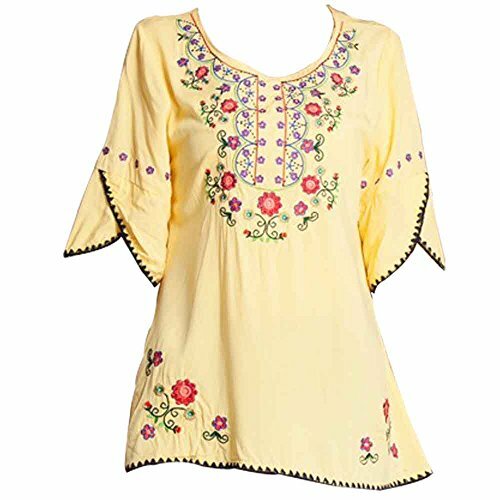 This blouse is very beautiful with colorful flowers embroidered, short cap sleeve very cute. 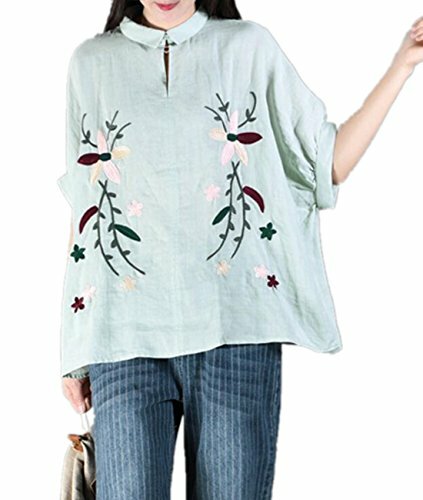 Suitable wear in spring or summer, it's casual style not formal, can wear go out for shopping or meet friends. 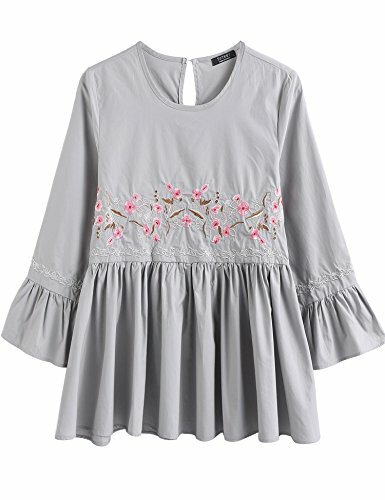 Please note that due to limitations in photography and the inevitable differences inmonitor settings, the colors shown in the photograph may not correspond 100%to those in the items themselves. 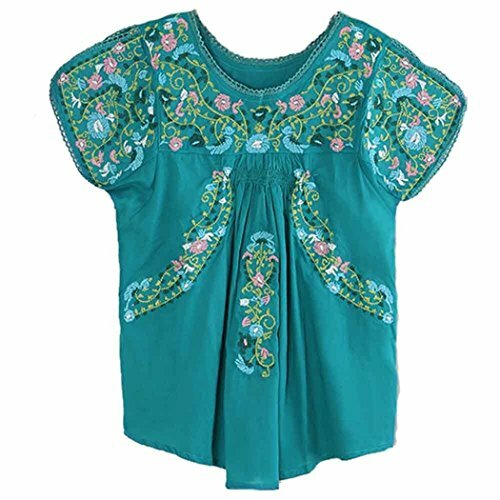 Very charming butterfly sleeve V-neck Mexican blouse with beautiful flowers embroidered, match a jeans or shorts, trendy; Can tie at back, so it will not so loosen, can be wear for going out shopping and meet friends, or any not formal occasions, it's leisure, casual style; Material is cotton, may need iron when wears Please note that due to limitations in photography and the inevitable differences inmonitor settings, the colors shown in the photograph may not correspond 100%to those in the items themselves. 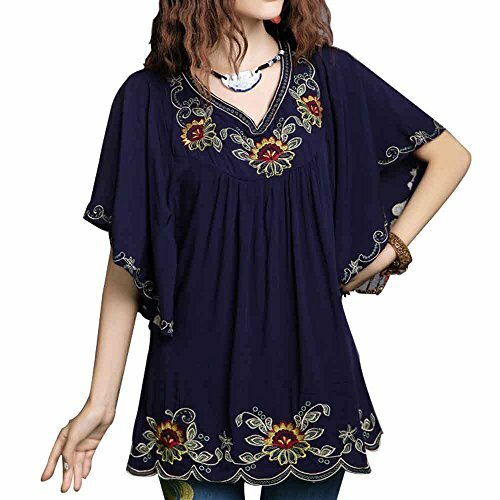 Size Chart: X-Small: Bust: 94cm/37", Length: 60.5cm/23.8", Cuff: 31cm/12.2" Small: Bust: 98cm/38.6",Length: 61.5cm/24.2", Cuff: 32cm/12.6" Medium: Bust: 102cm/40.2",Length: 62.5cm/24.6", Cuff: 33cm/13.0" Large: Bust: 106cm/41.7", Length: 63.5cm/25.0", Cuff: 34cm/13.4"
Size Chart: X-Small: Shoulder: 12.6-20.3 inch, Bust: 45.7 inch, Sleeve Length: 16.5 inch, Length: 24.0 inch Small: Shoulder: 13.0-20.7 inch, Bust: 47.2 inch, Sleeve Length: 16.9 inch, Length: 24.4 inch Medium: Shoulder: 13.4-21.1 inch, Bust: 48.8 inch, Sleeve Length: 17.3 inch, Length: 24.8 inch Large: Shoulder: 13.8-21.5 inch, Bust: 50.4 inch, Sleeve Length: 17.7 inch, Length: 25.2 inch All size are manual measure, there will be about 1-3 inch errors that is normal. 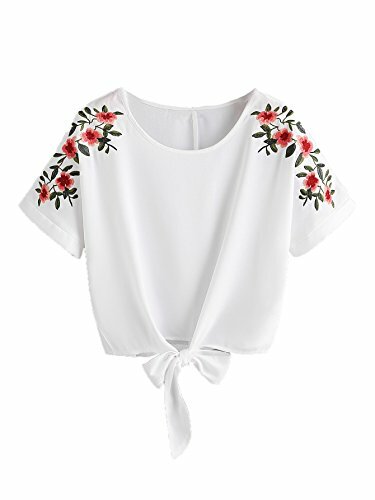 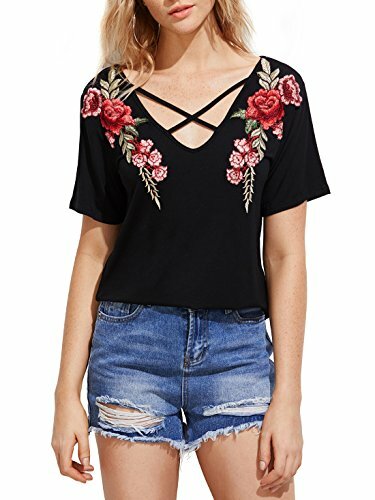 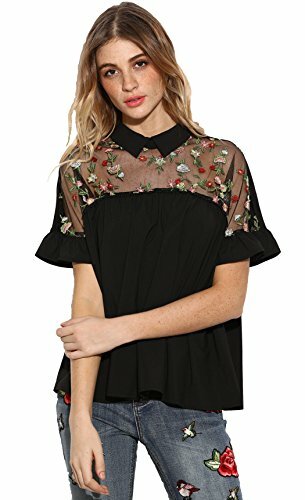 Copyright © Wholesalion.com 2019 - The Best Prices On Embroidered Shirt Blouse Online.